Consciousness is dimensionally structured. Nobody "has" consciousness. Instead, everybody is "in" consciousness. The book presents a new myth and paradigm for understanding consciousness, exploring the connections between consciousness, physics, quantum mechanics, myth, and meditation. 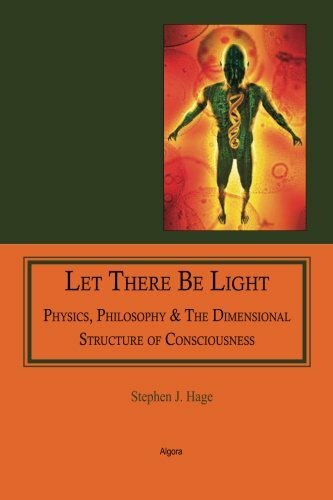 Author Stephen Hage says, “My intent is to provide a template readers can use to more clearly understand how the universe works and why, even though matter appears to truly exist, its existence cannot be scientifically proven. It explores enigmas in physics which still exist and cannot be satisfactorily explained. It explains why the Dimensional Structure of Consciousness is a new paradigm upon which an new myth can be constructed to help better understand how the universe works as Copernicus did when he shattered the myth that the sun orbits the earth rather than the other way around.” The style is conversational and friendly and uses current vernacular to keep it that way. The approach is to invite the reader to consider the arguments made and avoid a posture which implies the author is right and Descartes was wrong. The book is intended to be valuable for intelligent lay readers interested in the subjects of consciousness, physics, quantum mechanics, philosophy, metaphysics, myth and meditation; and the deep and meaningful connections between those areas of inquiry. Stephen J. Hage is an expert in radiology and hospital radiology department administration. Perhaps most revealing of the questions that drive his inquisitive mind is the title of his first published journal article, "Visualizing the Invisible" in 1966. A regular contributor to technical journals and a lecturer and instructor, Hage is a long-time member of the American Association for the Advancement of Science.